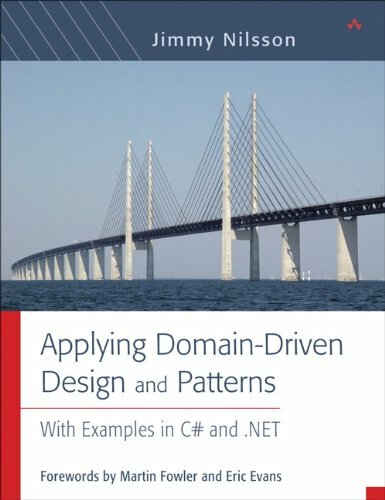 Applying Domain-Driven Design and Patterns With Examples in C# and .NET | Free eBooks Download - EBOOKEE! Posted on 2013-11-23, by pherick. Applying Domain-Driven Design and Patterns is the first complete, practical guide to leveraging patterns, domain-driven design, and test-driven development in .NET environments. Drawing on seminal work by Martin Fowler and Eric Evans, Jimmy Nilsson shows how to customize real-world architectures for any .NET application. You'll learn how to prepare domain models for application infrastructure; support business rules; provide persistence support; plan for the presentation layer and UI testing; and design for service orientation or aspect orientation. Nilsson illuminates each principle with clear, well-annotated code examples based on C# 2.0, .NET 2.0, and SQL Server 2005. His examples will be valuable both to C# developers and those working with other .NET languages and databases -- or even with other platforms, such as J2EE. No comments for "Applying Domain-Driven Design and Patterns With Examples in C# and .NET".